Bolivian President Evo Morales has raised the bar for legal coca cultivation from 12,000 to 22,000 hectares, overriding the anti-drug legislation pushed forward by the US in late 1980s. 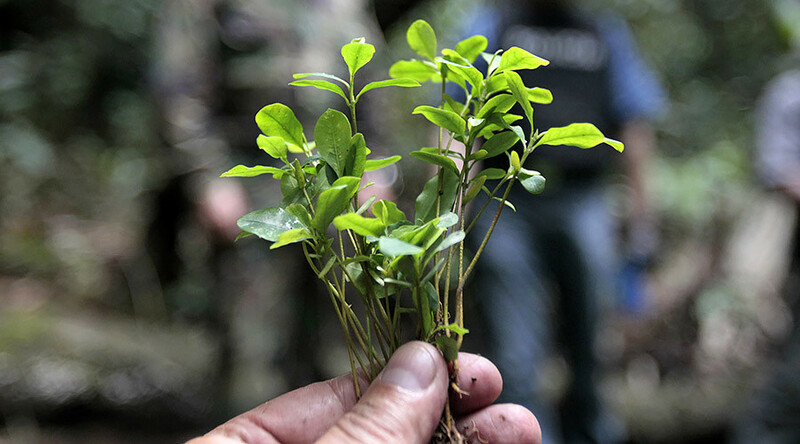 The law is set to cement coca leaf chewing in Bolivian culture. Speaking at the signing ceremony in La Paz, the left-wing Bolivian leader hailed the adoption of the milestone law as designed to protect Bolivia’s ancestry and culture. The new legislation is to effectively repeal the law “On the regime applicable to coca and controlled substances” commonly referred as the Law No. 1008 that dates back to 1988. 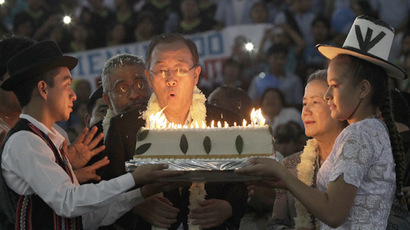 “It's time to bury the 1008 law in Bolivia. It's a historic day!” Morales, who himself was a coca farmer and is a leader of coca farmers’ union in Chapare region, said, labeling the proponents of the old bill as “traitors” as cited by TeleSur. 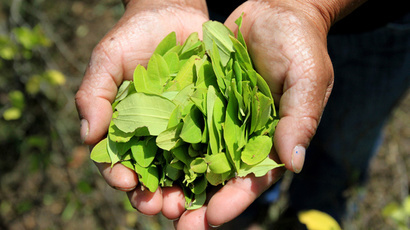 Coca leaf is widely used in Bolivian traditional medicine, chewed in its raw state or put in the tea. Bolivia is the third largest producer of the plant in the world, trailing behind only Colombia and Peru. The main concern of the opponents of its further legalization is that the leaf serves as an essential ingredient in cocaine manufacturing. Law 1008, a highly restrictive legislation championed by Washington at the time, envisioned severe penalties for illegal coca cultivation, its transporting and trade. As result of its implementation, the country’s prison population soared with the share of those convicted under the law culminating at a staggering 47 percent in 2005. While the number of prisoners, incarcerated under the law, has been since decreasing, reaching 20 percent as of July 2016, the law remained a source of serious concern for the authorities. Even before the presidential approval, the law drew strong criticism from coca farmers and opponents of its widespread cultivation. While the farmers chastised the move for creating more competition at already saturated market, 50 intellectuals penned a public letter to the president, arguing that the boost in coca production will lead to it ending up on the black market. “This rule would be making more than 11,000 metric tons of drug a year available to drug traffickers,” the letter read. Defending the move, Morales insisted that its primary purpose is “to guarantee coca supplies for life,” that is to be consumed legally, for medicinal purposes and as part of cultural rituals. He also brushed off the international criticism of the coca-friendly policy, arguing that it is aimed at dividing the nation. “This ideology of division is characteristic of imperialism: Divide and reign,” he said, according to TeleSur. He went on to stress that consumption of coca is mentioned in Bolivian books dating back as far as 15th century, arguing that as a long-standing tradition it does not pose any harm to people and accusing Europe of “demonizing” the plant to disrupt the practice. “We are not from the culture of cocaine,” Morales said, as cited by Prensa Latina.